Changes to the Meal Delivery Service AND Raw Juices are Being Added for Delivery! I’ve been studying nutrition for about 45 years now, in a quest to get well and optimize my own health and nutrition, as well as helping others eat well and heal. Sixteen years ago I moved away from a vegetarian diet and began eating seafood again (and organic meat was unavailable in Jacksonville or priced so that it wasn’t feasible). This worked well for me for a while and then I embraced a modified Paleo diet at that point. I certainly healed from a lot of different things by making this move; I repaired my immune system, began healing from many food allergies. However four years ago I got an infection while in the hospital and developed MRSA. The spot on my leg developed into a small skin cancer and I’ve been actively treating it since. It is responded extremely well to the local treatment with Black Salve. I’ve also continued to study nutrition and healing from cancer and have tweaked the diet. This was based on feedback from physicians I work with, clients that have worked with for nutrition as well as experimenting with myself and extensive study. What I’ve discovered is that the Paleo or traditional human diet will certainly help us meet our nutrient needs, and is amazing for rectifying nutrition deficiencies- from eating vegetarian, from eating low fat, from eating too many carbs. However there are many factors in our health; nutrition, stress, environmental issues. We aren’t picking food and eating it right away. Even organic food is picked early and exposed to light extensively. These practices rob it of nutrients. I realized when I began treating myself and closely monitoring the pH of my body that I was meeting my nutrient needs, but the Traditional Diet taught my Weston Price left my body ph far too acidic. This, and the awful stress filled years of the legal battles (for custody with a focus on my nutrition) had left my immune system damaged. Back to the drawing board, or research I should say. I have intensely studied this last year and am changing the cooking service based on that research. I am tweaking the meal delivery service to reflect these changes. Going forward I’ll offer 8 ounce portions of meat, 4 ounces per meal, twice a day is ideal. The new price on the entrées is $14. I’m increasing the serving sizes of the side dishes, adding more salads, adding slightly more raw foods. This will enable you to eat more fruits ad veggies, which should be double the amount (by volume) than the proteins. 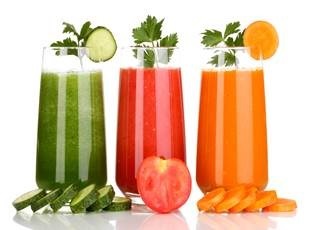 AND I will be offering fresh, raw juices delivered the day they are made! I will add these to the menu. These changes will be reflected next week and the juices will be ready for delivery in two weeks!